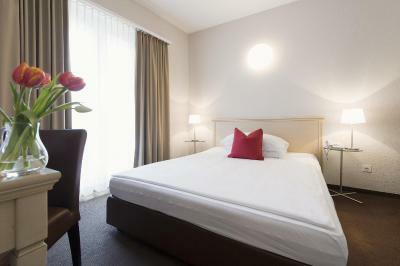 Lock in a great price for Hotel Neufeld – rated 8.1 by recent guests! The staff was amazing!! Location is perfect!!! Dominos pizza right infront!! The Staff were great and accommodating. The bed was amazing for such a small room. Best place in the room is laying on the bed. Lots of TV channels. Great natural lighting. Staff seems to have my best interests at heart or really good actors. Tram station just few steps at the door, also other direction around 10 mins walk is another Tram station. Breakfast was fantastic ! Being close to the Tram Station. The Swiss chocolates at the reception. Had stayed here before when visiting family in the neighborhood. Balcony views from rooms 105 and 205 are great! 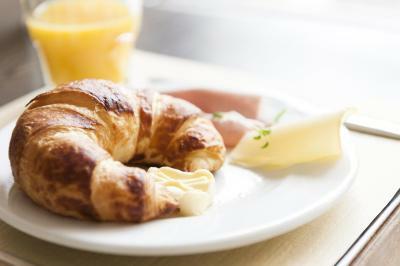 The location is great, the bed was very comfortable and the breakfast and service were great. I will stay there again on my next trip to Zurich. 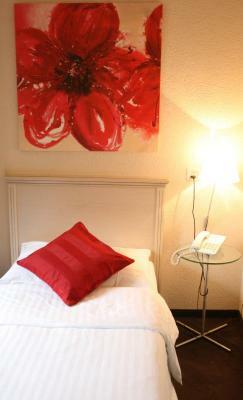 Very nice room, good staff, they helped us a lot. Thank you for the nice stay and breakfast. Clean, quiet hotel. Good range of food for breakfast. Helpful serving staff in dining-room. The staff were nice and the location was excellent. 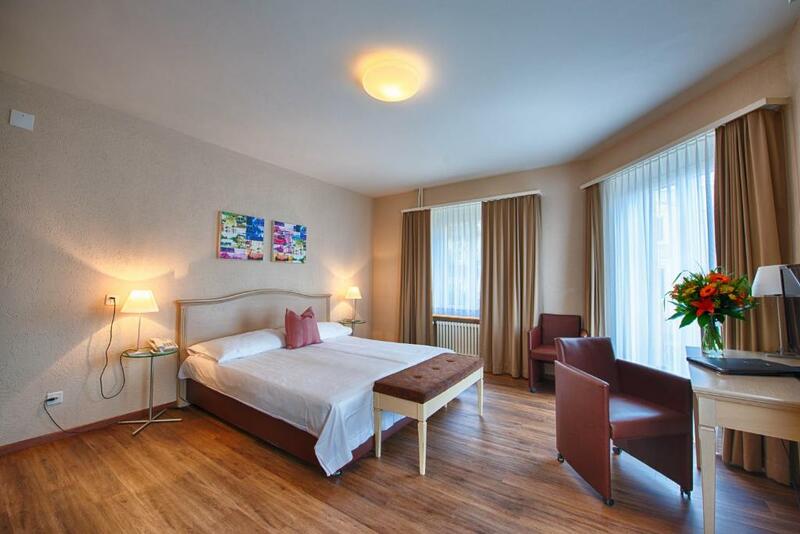 Hotel Neufeld This rating is a reflection of how the property compares to the industry standard when it comes to price, facilities and services available. It's based on a self-evaluation by the property. Use this rating to help choose your stay! 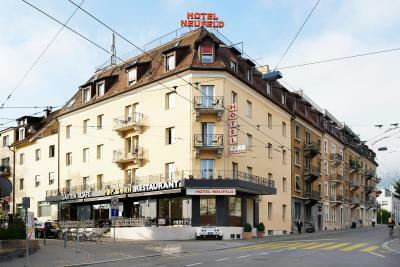 One of our top picks in Zurich.Hotel Neufeld on the Goldbrunnenplatz square in Zürich-Wiedikon is just a 10-minute tram ride away from the center of Zürich. 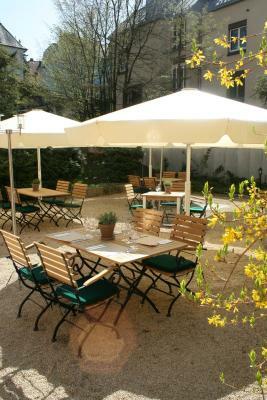 It offers free WiFi, a restaurant with a terrace and a rich buffet breakfast. 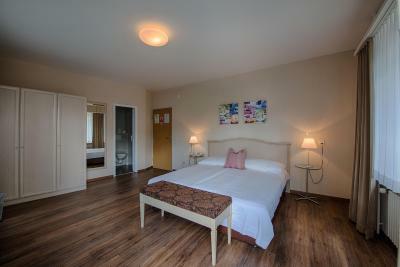 The nonsmoking rooms at the Neufeld Hotel feature a flat-screen TV with more than 80 channels and a safety deposit box. Fans are available on request. The Goldbrunnenplatz bus and tram stop is just 150 feet away. Trams 9 and 14 provide direct connections to the Zürich Main Train Station, to Paradeplatz and to Lake Zurich. Bus line 32 goes directly to the Langstrasse nightlife area. 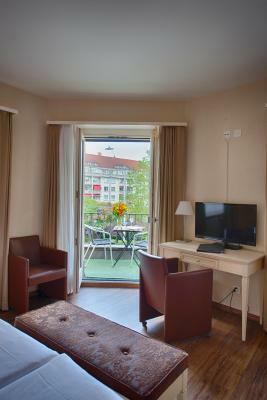 Wiedikon is a great choice for travelers interested in sightseeing, lakes and cleanliness. 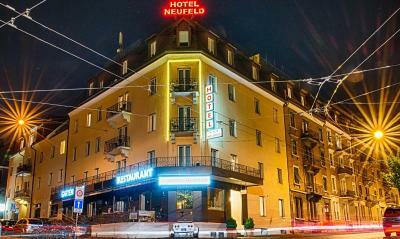 When would you like to stay at Hotel Neufeld? 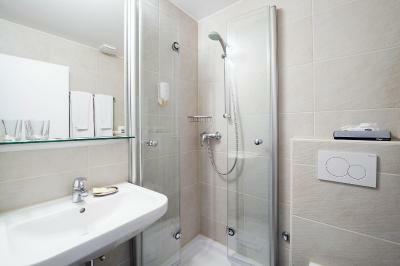 Room with a private bathroom including a hairdryer, a flat-screen TV with more than 80 channels and free WiFi. A fan is available on request. 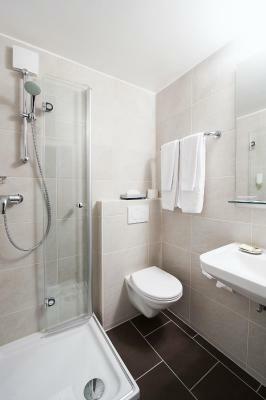 Spacious room with a seating area, a private bathroom including a hairdryer, a flat-screen TV with more than 80 channels and free WiFi. A fan is available on request. 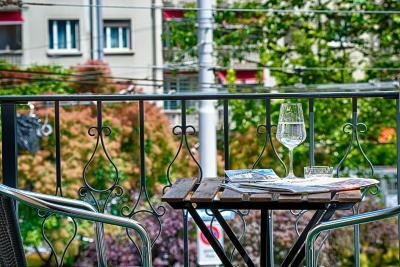 Hotel surroundings – This neighborhood is a great choice for travelers interested in sightseeing, lakes and cleanliness – Check location Great location - show map Guests loved walking around the neighborhood! 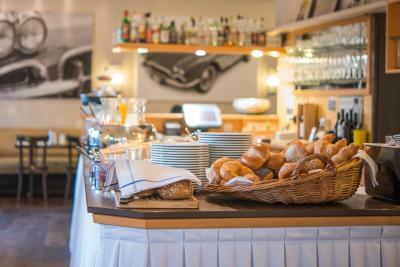 House Rules Hotel Neufeld takes special requests – add in the next step! Hotel Neufeld accepts these cards and reserves the right to temporarily hold an amount prior to arrival. 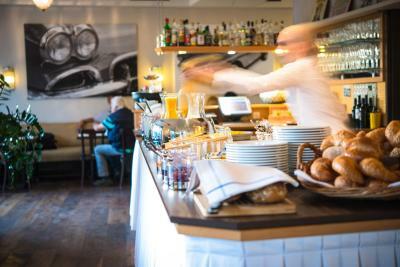 The restaurant is open from Monday to Friday for lunch. There are 8 parking spaces available on site. They are offered free of charge but a reservation is not possible. A car park ticket for parking on the surroundings streets is available at the reception for CHF 15 per day. Please note that the hairdryer can be found in the wardrobe. no soundproof, stares at the entrance which make it hard for me to take my luggage to the reception. uncomfortable bed. very low lightning in the room. I don't recommend for people with kids or old people, mainly for young in their twenties . During Sundays the area around the hotel is dead, nothing is open even the pharmacy. 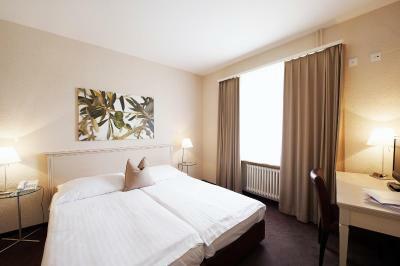 The location was very convenient next to tram station and 15 minutes from main train station. Breakfast was good but they don't offer fried egg or omelet. While there isn't a lot of road noise, there doesn't seem to be a lot of insulation between the rooms. It wasn't bad for us, but if there are noisy guests I can see that there would be problems. 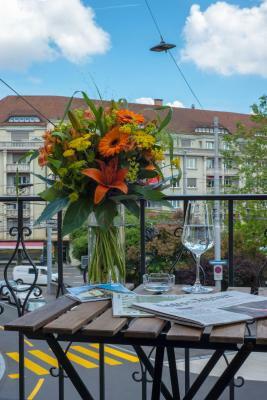 Very good middle class hotel, must be one of the best in Zurich. 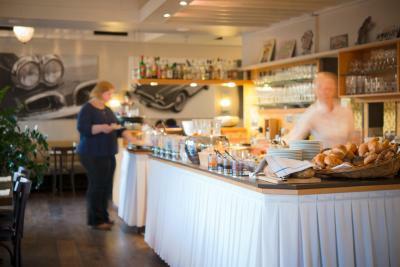 Reception and dining room staff are very friendly and helpful. 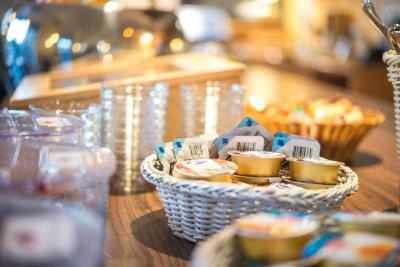 Breakfast buffet is very nice as well. 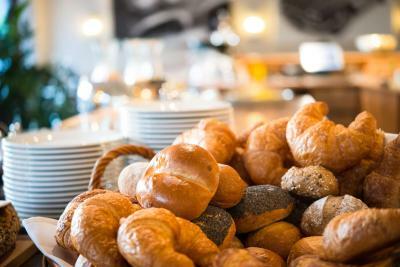 The breakfast was really delicious and there was every kind of option. 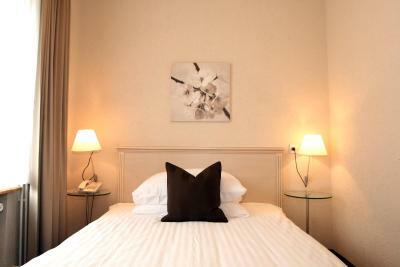 The rooms were clean and very comfortable. 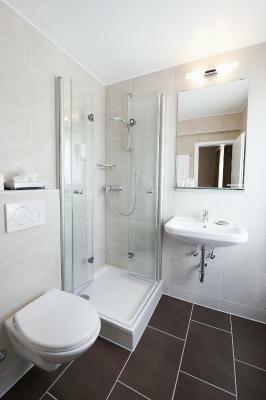 Very small rooms and the badroom as well. For a stroller a very small lift. No minibar in the room, no coffee, no tea, no electric kettle. Coffee at the reception cost 3 CHF, you must make it yourself. 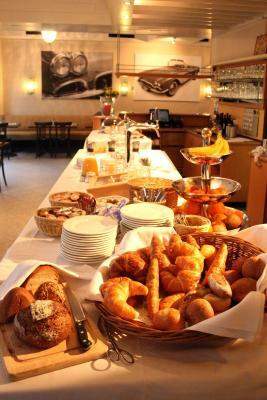 Friendly staff, delicious breakfast, six tram stops to the center. The room was smallish for 2 people. The facilities for ironing were not the best. The iron board should be changed into a normal size one. The breakfast and the bathroom:) very helpful and nice staff.